It is said, happiness comes in all shapes and sizes. PrintStop brings you happiness in these square shaped gift boxes. Add to the joy of your occasions by gifting in these boxy gift boxes. These traditionally designed boxes are befitting containers for gifting chocolates on Indian occasions. What you see on the outside reflects what’s on the inside. Don’t let the outer appearance of your gift debilitate the importance of your gift inside. 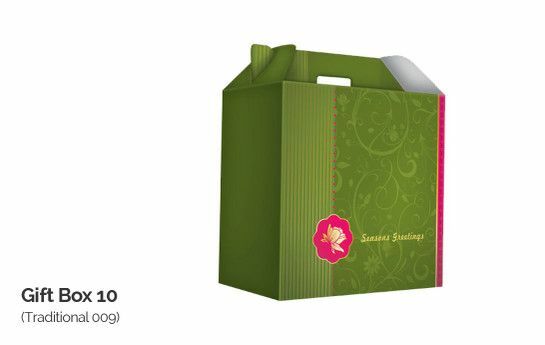 With PrintStop, you can make your gift box as attractive and special as the gift itself. Get these boxy gift boxes and brighten up your occasions. A personalized gift is an important indicator of your love and care. Send your gifts in these custom-made gift boxes and show them that you care. You can now get your own customized gift box at PrintStop, either by uploading your own design or by availing yourself of our professional designing services. Get creative, get innovative; design your own box at PrintStop. To add a personal touch to the box, you can get a message printed on the box. You can also add images of your choice to the box to make it all the more special. Play with colors, and get the most colorful boxy gift box at PrintStop. Size : 5.3" x 3.5" x 5.5"